What Is Your Company’s Experience Modification Rate? I have asked this question to business owners and have gotten two different answers – Either they knew it or they had no clue what the rate was for their company. So here are several questions we are going to explore with regards to Experience Modification Rates (EMR). What is an EMR? Why is it important to know? How can the rate be lowered? 1. What is an EMR? It is a number that is used for several purposes. Most importantly, it is used by insurance carriers to determine past and future risks. The lower the EMR, the better the Workers Compensation premium. The higher the EMR, then the workers compensation premium is going to be higher. The computation of the EMR is complicated, and there are many factors that goes into determining this number. The National Council of Compensation Insurance (NCCI), will first determine the national average of an industry. They determine this average by information like payroll, losses or claims (both frequency and severity), risks of the industry, and much more based over a three to four-year time frame. When NCCI is looking at an industry, the comparisons are always done with like industries. For example all roofing companies are compared or grouped together. No matter the industry, the national average is 1.0. So let’s see an example of what this information would mean to us. Let’s say we have a roofing company. Their EMR is 1.20. What does this mean? This means our roofing company is a greater risk than others within the industry, and will be paying more in Worker Compensation premium. They have experienced more injuries and claims then the average roofing company. They will be paying 20% more in Worker Compensation premiums. But what if their EMR was .90? This would mean our roofing company is better than the industry average, is less of a risk, and would be paying less in Worker Compensation premium…. 10% less! 2. Why is it important to know? EMR is somewhat like our credit history. It follows the company everywhere it goes. If a company is with XYZ Insurance Company, for example, the loss runs or loss history will stay with XYZ Insurance. If the company chooses to leave the insurance carrier and go to another insurance company, the EMR will be reviewed to help determine the premium. EMR’s have also been used when dealing with government contracts. When a contractor puts in a bid, often times, they are asked about their EMR, and OSHA violations. I have seen several contractors in the past who have lost bids because the EMR was high. 3. How can the rate be lowered? Good news is the rate can be lowered, but the bad news is it will take time. Approximately three to four years of time. The rate is lowered when a company does not experience losses or injuries. In order to prevent losses and or injuries, a company is going to need a safety program, conduct regular safety meetings, and keep on top of their safety game. A company needs to be realistic, and understand injuries do happen. The idea is to lower the frequency and severity of the injuries. 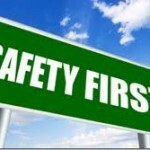 SCS Safety Health & Security Associates LLC helps companies with the development of a safety programs, conducting safety meetings, and getting out to the job sites to determine how the employees are working in a safe manner and are they following the safety program. We specialize in education, training, consulting and management of safety, health and security programs related to functions of business and industry. We develop, integrate, and operate complex programs to help private and public businesses and industry to achieve regulatory OSHA compliance, for issues related to safety, health and security. We offer complete solutions for operating safety, health and security systems; providing safety and health education programs; providing complex safety programs and plans; providing inspection services for fire, safety, health and OSHA compliance; providing post accident investigation services and accident prevention programs. 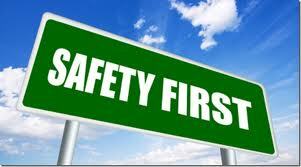 Safety consulting, education and training does not have to be expensive. It has to be effective! 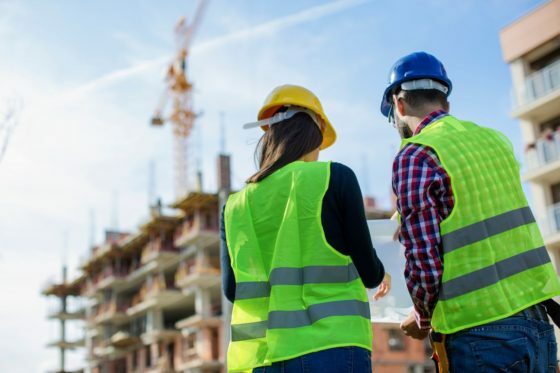 I have always told my clients, you have to spend money on safety in order to save on the indirect and direct costs of Workers Compensation premiums and OSHA violations. What is it worth to you and your company?